Suggest or vote on destinations, ideas and projects, together with helping resolve problems the fleet faces. 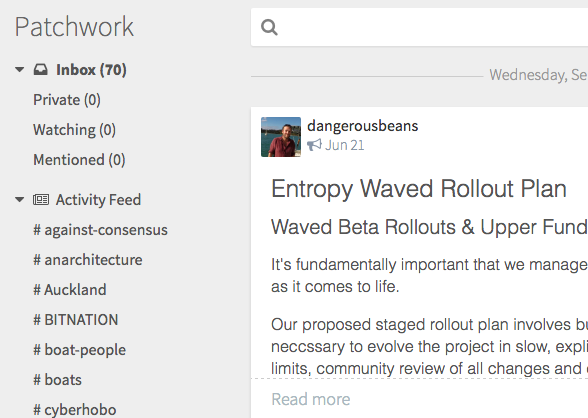 We're also in the #project-entropy channel on patchwork , which runs on the secure scuttlebutt crypto chain distributed peer to peer offgrid network, designed in part for use in marine and other offline internet situations. Scuttlebutt allows the fleet to stay connected with one another even when outside of network coverage.